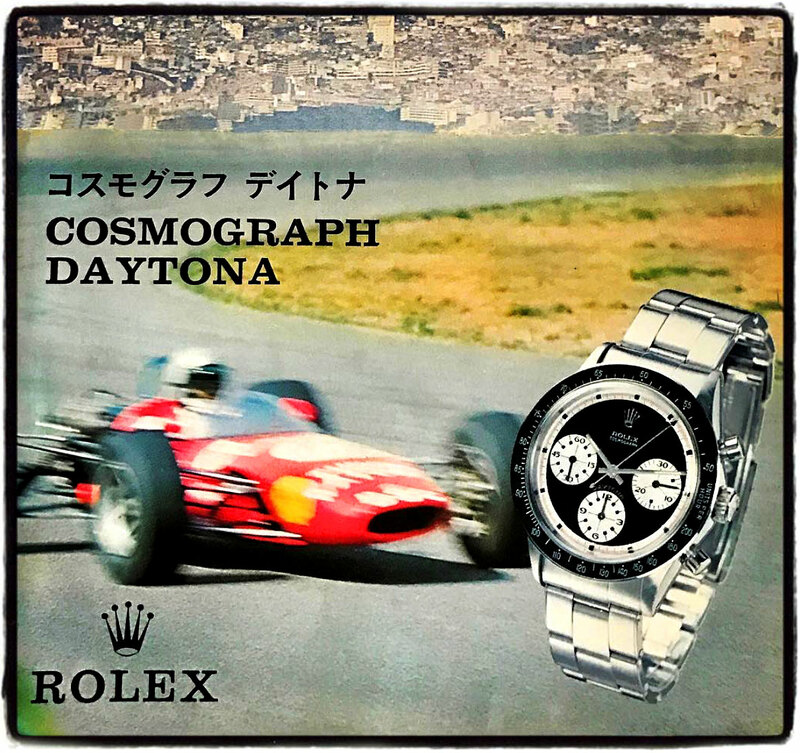 John Goldberger recently published this 1972 Japanese Rolex Daytona leaflet that features the Reference 6241 with its exotic black Oreo Cookie dial in stainless steel watch. One of the reasons this is so cool is that official Rolex images that feature the exotic Daytona dials are very rare. I think the city with the port and buildings in the background is Port Hercules, in Monte Carlo, Monaco.